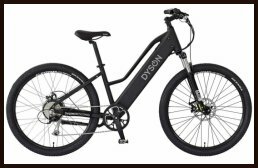 The Pedelecing Cyclist: Queenscliff and back, two Dyson bikes! 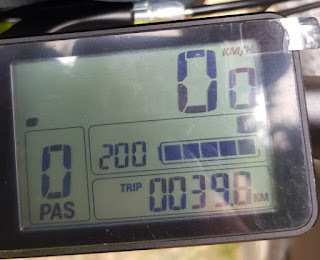 Does getting an ebike make you ride more? Check out my rides on my pedelec. Queenscliff and back, two Dyson bikes! Guess what? 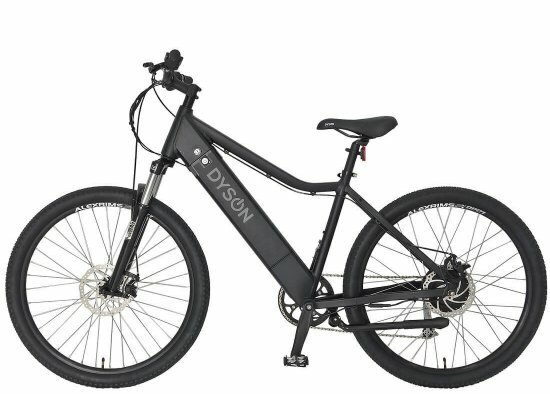 Mr Aggy has bought a Dyson ebike! And not because he can't ride long distances, but because it is more fun on an ebike! He bought the the Dyson Hard-Tail Evo with the 15 mA battery. This is larger than the Mixte and has hydraulic disc brakes. 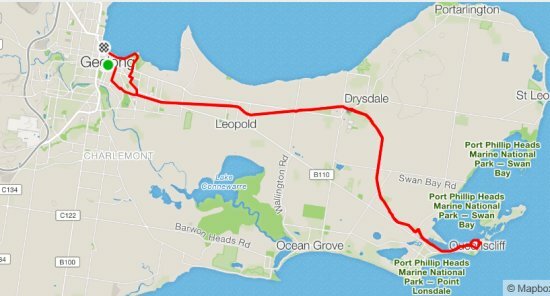 So, to test it our, we decided to do the Queenscliff rail trail run again. 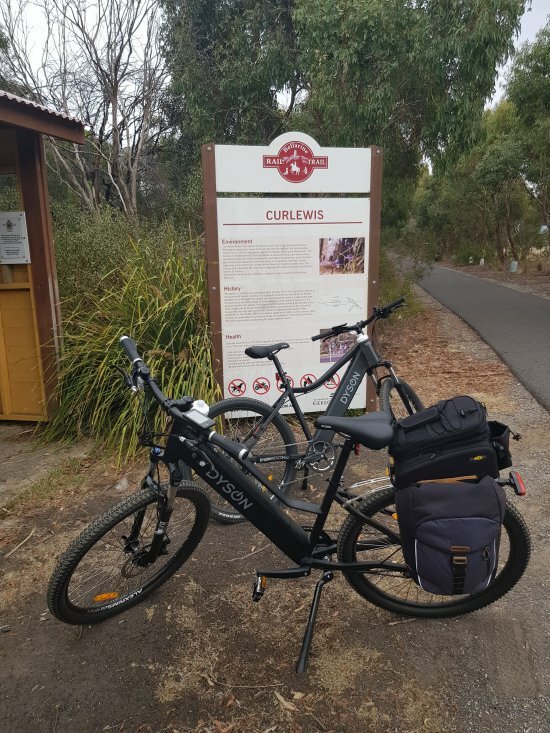 Here are the bikes at Curlewis. Sharp-eyed readers will notice that I have replaced my original pack rack and bag with this one. 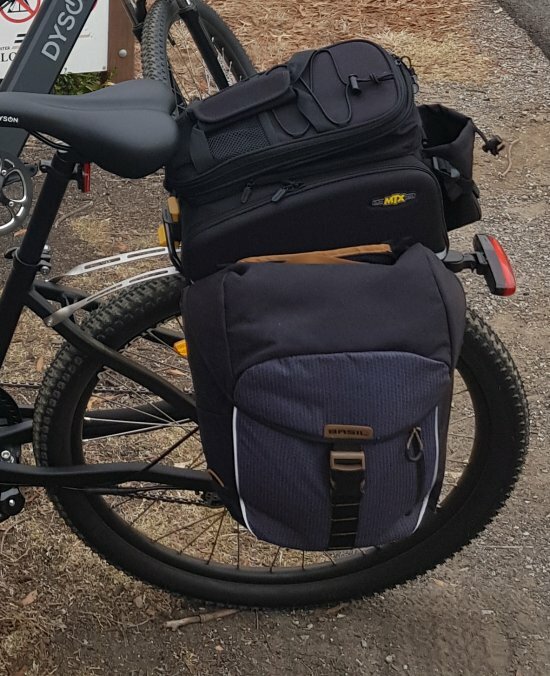 It is a Topeak expandable bag with two panniers. It slides onto a track on the pack rack, so it doesn't list to one side when the Basil bag is on. I really don't even need the Basil bag when this is on. At Queenscliff, the odometer on my bikes was showing no bars lost. 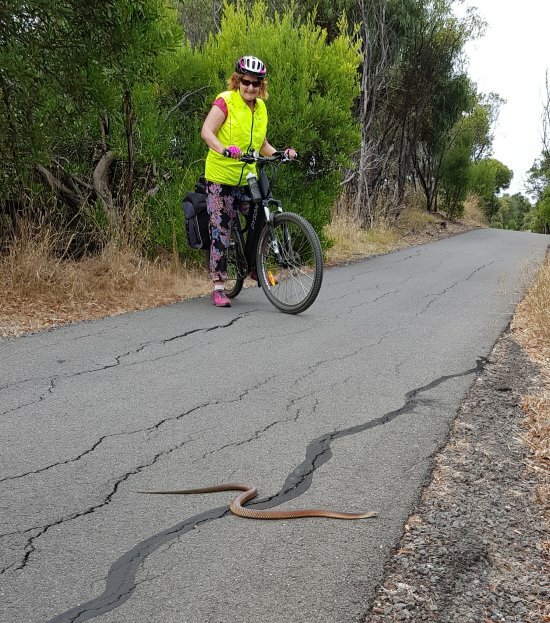 On the way back, we saw a snake on the path! I've never seen a 'wild' snake so close before. 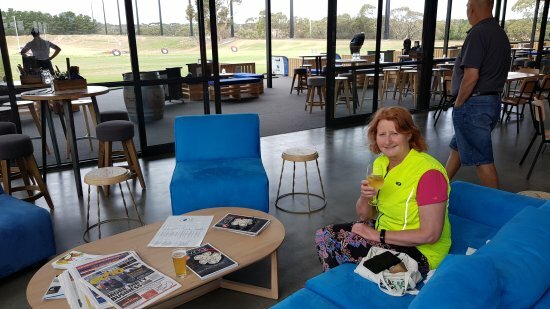 After the fright with the snake, we stopped at the Range at Curlewis. This is a great facility which is accessible off the bike path! Perfect for a snack and a beer or wine. All up we did 82.9 km. I had two bars left on my Dyson, Mr Aggy had four bars left! Really great performance by the Dysons.